The death of his daughter Annie two days before Easter destroys everything Tom Jacobs had ever believed about himself, his teaching career, his new wife, his stepson, and his god. Over the next eighteen Easter seasons, Tom must journey into the heart of his grief before he can emerge, resurrected by faith and love. 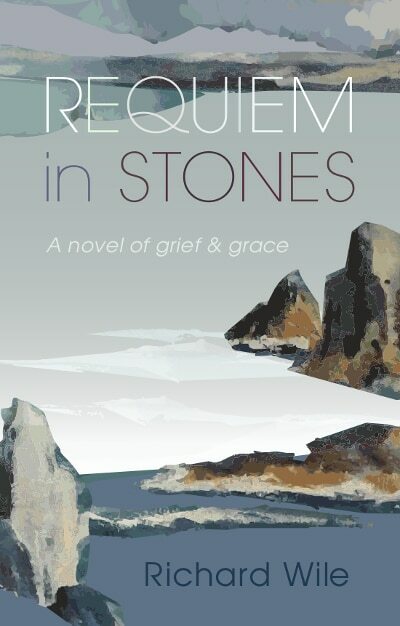 Anyone who has ever wondered, “Where in hell is God when a child dies?” will want to read Requiem in Stones. RICHARD WILE retired after over forty years of teaching literature and composition at the high school and college level, and since then he has published essays and reviews in numerous magazines and journals. He currently facilitates spiritual writing programs throughout the state as well as a weekly writing group for the homeless and materially poor in Brunswick, Maine.